Bill restricting online information disclosure by military personnel reaches State Duma | Russian Legal Information Agency (RAPSI). 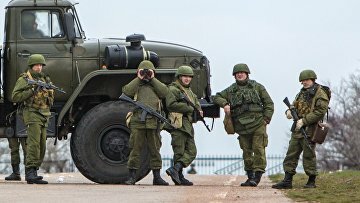 MOSCOW, September 11 (RAPSI) – Russian government has submitted to the State Duma a bill prohibiting military personnel from disclosing information on themselves and other servicemen in media and on the Internet, the document published in the database of the lower house of parliament reads. The servicemen would be prohibited from disclosing information that could reveal their affiliation within military as well as their military service and service of other military personnel. The same restrictions also apply to information on activities of military units and organizations where they serve and their locations with the exceptions of cases stipulated in Russian legislation. 17:36 11/09/2018 Russian government has submitted to the State Duma a bill prohibiting military personnel from disclosing information on themselves and other servicemen in media and on the Internet.